Where next after the album Surf’s Up?That was the question for The Beach Boys as they sailed the uncertain commercial waters of the early 1970s. The surprising answer was an album in which Brian Wilson’s involvement was limited, on which Bruce Johnston barely featured after his sudden (and temporary) departure, and which was named after the band that Carl Wilson and Mike Love had formed in high school. 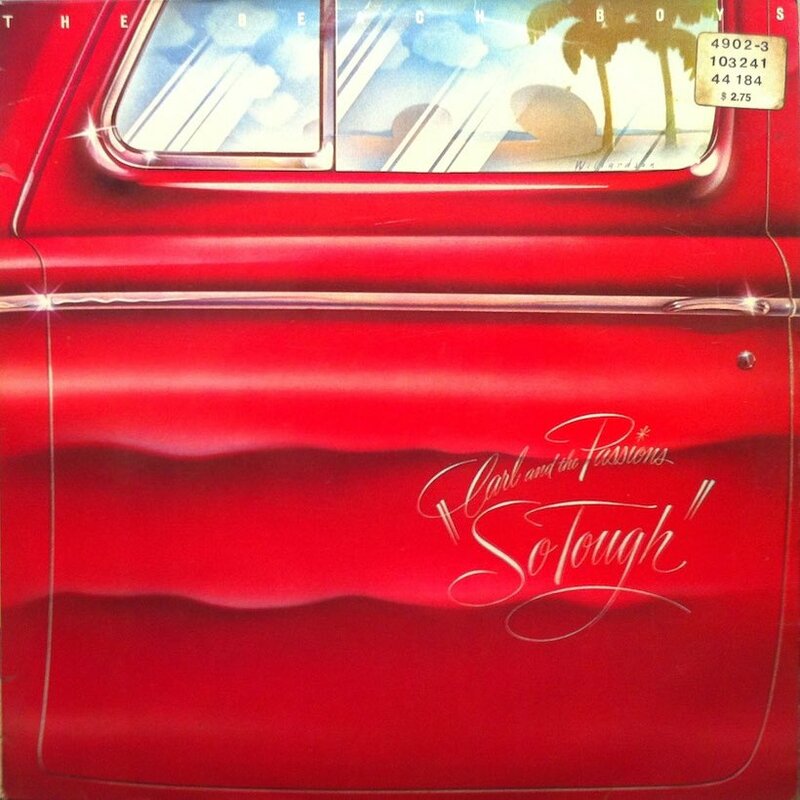 Carl and the Passions – ‘So Tough’was released on 15th May 1972, and if it failed to deliver any major hits, It was the Beach Boys’ 17th studio album stands as a showcase, especially, for Carl, as he took a greater hand in studio direction. Surf’s Uphad won rave reviews and landed the group on the cover of Rolling Stone in an extensive interview, but it was less than a sales blockbuster, and the group’s direction was to change again. By the new year of 1973, the factions within the band were prompting Carl to suggest that fresh impetus and new faces may be needed. Not long after the sessions began, Bruce Johnston had a falling out with manager Jack Rieley and left the band. That led to the arrival as official members of South Africans Ricky Fataar and Blondie Chaplin, as the Beach Boys became, in name at least, a seven-piece outfit. Their input was felt on the albums that continued, firstly at Brother, and then at Brian’s home studio in Bel Air. By the spring, Johnston’s departure through what he called “differences in musical policy” was confirmed. When the album emerged, with the Beach Boys on an extensive European tour, the overall feeling was of a highly listenable if disjointed record, by a group heading in several directions at once. Reprise released it in America as an initial twin-pack with Pet Sounds, a juxtaposition which hardly helped the new record to shine. Rolling Stone felt that only four of the tracks were “acceptable”, and that Brian Wilson’s lack of genuine involvement hurt the album.